4 Fragments is a collection of short stories by Dutch illustrator Viktor Hachmang. 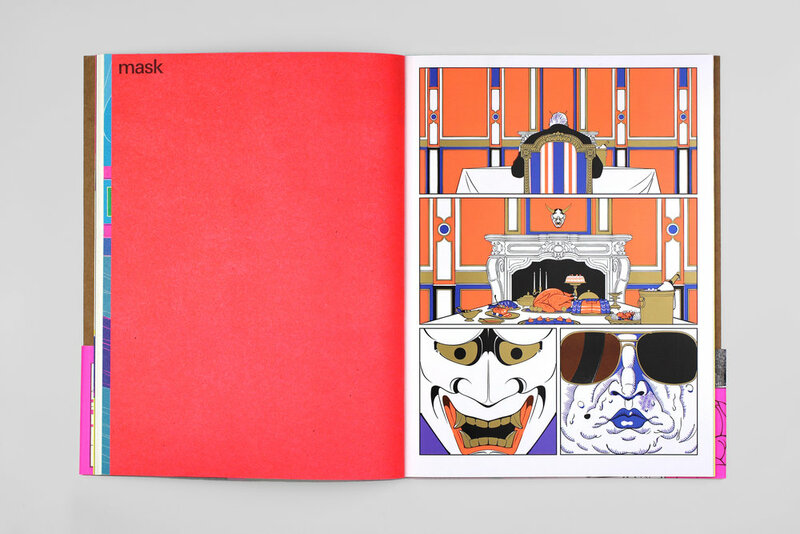 The book is comprised of four hyper-coloured dream sequences, each obliquely referencing recent news events. These parables are interspersed with ecstatic collages made from reused panels and source material. Produced in a run of 500 copies with an accompanying print. Made possible with the support of Creative Industries Fund NL (Netherlands).